Yalla, Y'all! : New Class Session -- ATS Level 1 with Jaki Hawthorne! New Class Session -- ATS Level 1 with Jaki Hawthorne! 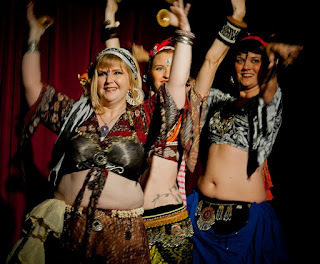 Join Jaki of Jahara Phoenix on Thursdays at 7:00 for a new six-week session of American Tribal Style belly dance Level 1 classes! Beginning this Thursday, October 6th at Dance Fusion Studios in Lawrenceville, Jaki will be breaking down the basics of this challenging and rewarding style of group improvisational dance. Jaki is one of only a few FatChance sister studios in metro Atlanta.